The Xbox 360 may have arrived in white, well, off-white originally, with Microsoft adding a darker model at a later date, but this time around, the console sports a shiny, jet-black finish. 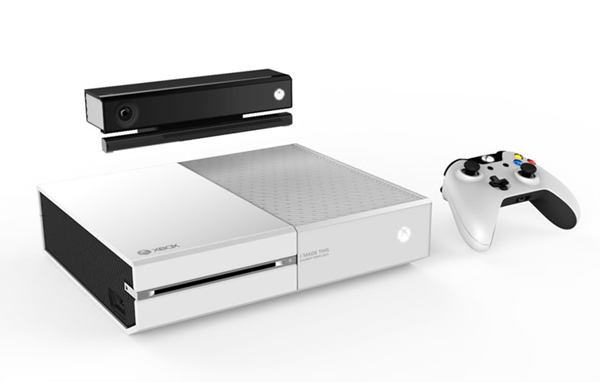 Obviously, some prospective Xbox One owners were hoping for an alternative to the rather understated aesthetic of the software maker’s latest entertainment machine, and this fall, the white color option will arrive as a part of the Sunset Overdrive bundle in October. Of all the bad moves that Microsoft has made since the announcement of the Xbox One – namely the ambiguity surrounding used games and whatnot – the decision to roll the white Xbox One out to employees only back when it was launched last fall was actually a pretty good one. Naturally, having seen the white Xbox One without being able to go out and make the purchase – aside through the grossly inflated prices on eBay as some employees cashed in – many gamers are now anxious to get their hands on it, and after a slow-ish start that has seen Sony’s PS4 take pole position in the battle of the new-gen consoles, there’ll surely be quite a bit of hype surrounding the Sunset Overdrive bundle. Polygon has been in contact with a spokesperson from Microsoft who has confirmed that the white Xbox One will be a part of the Sunset Overdrive bundle releasing on October 28th. Presumably, the lighter shade will be available at some point thereafter to consumers who’ve no intention of playing Sunset Overdrive, but with do details as yet on the bundle’s pricing, we’ll have to wait to learn what Microsoft’s plans are in this regard. If you’re not in the market for Sunset Overdrive or, indeed, the white Xbox One in general, then perhaps the announcement oft he Madden NFL 15 bundle may pique your interest. The title, published by Electronic Arts, is something of an institution among football fans, and it has now been confirmed that the Madden bundle will release later this month on August 26th. Given the close ties between EA and Microsoft – the game-maker just sealed a monthly subscription plan giving Xbox users unlimited access to select titles – the announcement of the Madden bundle isn’t too much of a surprise, and at a cost of $399, soccer fans will be hoping for something similar as the big launch of FIFA 15 looms large.